Homeopathy is one of the most popular alternative therapies in the world today. Discovered by Dr Samuel Hahnemann in 1796, homoeopathy’s tribe of faithful followers keep increasing even 200 years later. Every year on Samuel Hahnemann’s birthday (April 10), World Homeopathy Day is celebrated as a tribute to him. It also aims to create better awareness about homoeopathy, improve its accessibility and to modernise the system of healing. On Hahnemann’s 264th birth anniversary, let’s learn the significance of World Homeopathy Day and some of the most intriguing facts about the alternative system of medicine. Homeopathy is an alternative system of medicine, which believes that ‘Like cures like.’ According to it, a disease can be cured by a substance that can induce symptoms similar to the ailment itself by using highly-diluted doses of natural ingredients. These substances are believed to trigger the body’s healing system. Fact or Hoax: Will Homeopathic Remedy ‘Gelsemium 200’ Really Protect Us Against Nipah Virus? The Answer Will Shock You. Lower the dose of the homoeopathic ingredients, higher the potency of the medicines. Some of the homoeopathic substances are diluted to such great extent that no traces or molecules of the original substances remain. Common Homeopathy Myths You Should Stop Believing In, According to an Expert. Western medicine dismisses homoeopathy as a mere placebo whose two most important principles are at loggerheads with the laws of physics. But the faith patients have in homoeopathy hasn’t seen any change in recent times. Plenty of documented cases exist where people have been seemingly cured of their health conditions with homoeopathy. Homoeopathy is also one of the most preferred alternative systems of healing in India, coming quite to the indigenous medicine Ayurveda. It’s also among Indian government’s AYUSH for alternative medicine. India also has the biggest homoeopathic drug manufacturers and traders in the country. It’s Samuel Hahnemann Birth Anniversary! Here are some Unknown Facts about the Father of Homeopathy. World Homeopathy Day is celebrated not only to commemorate the birth of Dr Hahnemann. It’s also a day to understand the challenges and future strategies to develop homoeopathy even further. It aims to create awareness about the alternative system of medicine, and to improve accessibility and success rates. 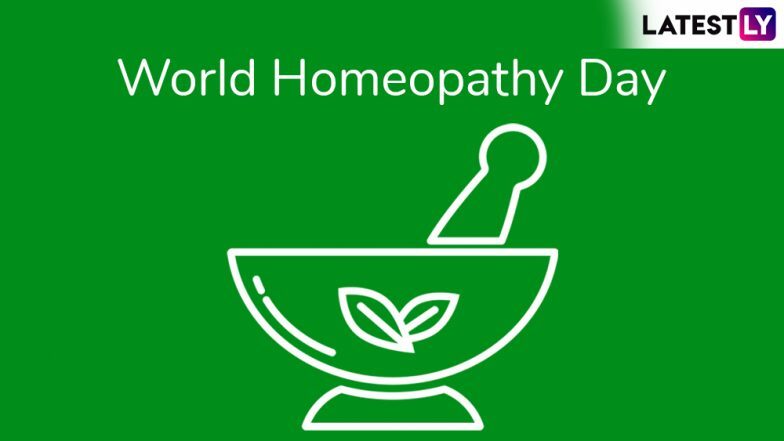 World Homeopathy Day seeks to bring the community together to innovate, reinvent and modernise the system of medicine so that more people can reap its benefits.